Hi, Rae here. How amazing that we are here at the tenth episode of the podcast! I’m back in Pai, decompressing after many weeks of having a packed schedule. I’ve taken things a little more easy this week and I’m feeling much better. Just the smell of woodsmoke in the air is restorative. * Ro and I have a little chat about the week: guiding meditation at a Women’s Retreat, transformation, art meditation, and the intoxicating cool season air. * Chinua guides a beautiful contemplation of nature meditation. If you want to skip straight to this, it’s at 08:45. You will need to have a object of nature to hold or look at for your meditation, so take a little walk and find one before you start! Here’s the podcast on iTunes. Here’s the episode on Youtube. This week I challenge you to reach out to someone you haven’t spoken to in a while. After a busy couple of months I got to talk to my brother today, and it was so good to connect. I pray for good connections and relationship in your life. The podcast will always be free, but you can support us on Patreon.com and get extra audio each month. We're so thankful for your support, which helps our communities to offer this kind of meditation and other Christ-centered practices for free. Thanks especially to our new patron, Matt Tresser! You are wonderful. Adam Clarke's description of God. Just reading it fills me with peace. Eternally just, right, and kind. I think I’ll keep reading it slowly, all week. Hi! I’m away at a women’s retreat so this episode is going out a day late. Sorry about that! The time here has been beautiful and restorative, though. I’m thankful for every bit of beauty in the gardens around here, for weather that is cooling down and for so many beautiful people in the world. Here’s the episode on iTunes. Here it is on Youtube. I pray that this week you would notice the beautiful light of morning each day. Be well, dear ones. Hi everyone. The sky is full of lightning this evening, with warm, wet air blowing through my window. * I give the introduction on my own, since Ro is away for a couple of days. I talk a bit about the past week, including Christmas-size lunches, unconditional love, a few useful words, more weeding, and a bake sale. This week I pray you have a glimmer of excitement about the days to come, like when you were a little kid watching the rain. Episode #7 - Imagination on Luke 8:22-25 with Miri. I just drove a car load of teenagers to a youth retreat and now I’m recovering from a very chatty four hours in the car, posting this in a quiet space. (Aaahhh.) I love those kids. * Ro and I chat about the last week, including community lunches that have been full to the brim, dance meditation, planting seeds, forgetting about the sun, and a beautiful Devotion Circle. Here’s the podcast and blog Facebook page. I pray that you feel scads of joy this week, wherever you are. The podcast will always be free, but you can support us on Patreon.com and get extra audio each month. We're so thankful for your support, which helps our communities to offer this kind of meditation and other Christ-centered practices for free. Last week most of us Shekina Communities people joined another 70 or so folks in Chiang Mai for theRiver Gathering, for communities like ours from all over the world. We had friends there who are living in Israel, the USA, Mexico, New Zealand, Australia, Spain, India, Scotland, The Netherlands, Germany, Canada, England and more. 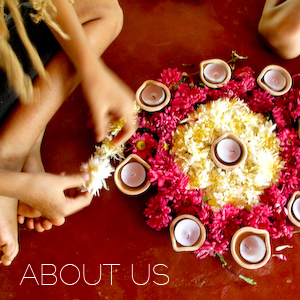 Folks running hostels, farm stays, ashrams, meditation spaces, mobile communities, and other creative communities. It was beautiful to connect with so many people who have a similar heart to us, making spaces where travellers can connect with Jesus' life and teachings, in a welcoming environment. We sang and prayed together, had sessions and panels and interviews about life in community, rhythms and practices, sharing Jesus, mentoring volunteers, and pilgrimages. We worked out loads of creative ways to stay connected with each other and help our traveller friends meet each other too, in other spaces along their journeys. And I may have caught the travel bug again, hearing about all the amazing places and practices that these amazing people are making happen all around the world! This week I’m posting from theRiver Gathering in Chiang Mai. It has been such a full week, so full to the brim with goodness and thoughts and connections that we are overflowing. * Ro and I talk a little about the gathering, including dance meditation, wrestling contests, new and old connections, and amazing worship. We have a Facebook page up if you want to follow us there. May all the love and mercy you need flow freely to you and through you this weekend. Much love. The podcast will always be free, but you can support us on Patreon.com and get extra audio each month. We're so thankful for your support, which helps our communities to offer this kind of meditation and other Christ-centered practices for free to travelers and spiritual seekers from around the world. How exciting to already be on week 5 of this little podcast. (This is Rae.) It has been a hot, sticky, busy day here in Thailand and it feels good just to take a moment to send this out. * Ro and I talk about our week, discussing Devotion Circle, a successful surprise, friends who are in town from around the world, and what is happening next week! Many blessings for the weekend, wherever you are. Remember God’s mercy, flowing all around you. I’ve been reading Colossians a lot lately. Over and over again. Today it’s this verse. Deep sigh. Going into the day with a hug all around me, loved. The sparkle in a friend’s eye when they delight in me, the cries of my children when I arrive home after being away, an arm around my shoulders, God standing behind me- what does it mean to be holy and dearly loved? Set apart, not flailing in an impossible sea. Held. Unarmed because I am already protected. Today I put on fisherman pants and one of Chinua’s T-shirts. Then those got wet on the motorbike when I drove through a rainstorm. So I changed to leggings and a top that used to be really beautiful but is now rather faded and a little torn. Clothe myself. Put on compassion. Pull it on, really think about it, really get ready for the day with kindness like a pair of pants, with humility like my glasses that I wouldn’t leave the house without. Gentleness. Patience. I’m ready for anything now. Ready to look around the world at my brothers and sisters and really see them. Love is the superhero cape that you tie on last, or the cloak that swirls around you, protecting you. When you truly love someone, you smile at their ridiculously beautiful tiny human ways. You love them, you love them, you love them. When you love you enter into the warm realms, the Kingdom of God, a place so rich with belonging that everything else fizzles and falls away. And it doesn’t mean that the warm realms don’t have hard things, hard truths. Not even belonging can keep regular human consequences away. But God will be there, and we can do all things with him in our midst. I pray that today you know you are holy and dearly loved. 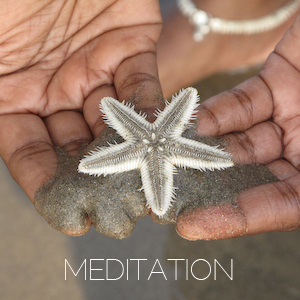 We’ve been so busy with life but one of the gems right now is being able to guide meditation. I hope today’s meditation speaks to you. *Ro and I have a short chat about life right now including rainbow salad, contact dance, city life, and being glad to be home. Many blessings for the weekend. Love one another and remember that you are so, so loved. We love hosting our traveller friends for Community Lunch at Shekina Garden on Sundays! We sing and pray thanks for the food in a big circle. We feast of yummy vegetarian food (most of us take turns to cook each week, sticking to things that can be made for big groups like dal and rice, curries, soups, bean bowls, rainbow brown rice salads). I make big batches of kombucha at home each week and bring it to share. Sometimes friends bring other things to add to the meal; Michael from Wales usually brings some fresh fruit. Then we have a Sharing Circle, where each person has the opportunity to introduce themselves. We usually ask our friends to share a little about themselves and answer an interesting question. This week we asked people to share a story of the worst place they have slept or spent the night…there we stories of camping misadventures, truck stops, bathtubs, train station and airport floors, hitchhiking woes…just what you would expect from 50 world travellers! After our Sharing Circle we share chai and dessert, and the afternoon rolls on. Usually there is music, often there is dancing. Together we enjoy acro-yoga, contact improvisation, art making, handiwork, jewellery making, good conversation and of course doing the dishes. It is a very, very good way to spend a Sunday. Hi everyone, this is Rachel. I hope you have had an excellent week! The podcast is live on iTunes, so you can subscribe there if you like! I tried something new this week and created this episode without any background music. We normally meditate without music. Let us know what you think about the difference. Music? No music? * Ro and I do an update of life around here this week, including uncles, camping dreams, housecleaning, and a quiet week. Here at Shekina Garden we are taking a little breath. For two weeks we are halting most of our regular rhythms at the Garden. It is school holidays for the kids. One family is away for a holiday with visiting parents. Jazzy and his Dad Joshua need to go to Laos for a visa run. And we are preparing a Gathering for theRIVER - a whole bunch of communities like ours, coming together in Chiang Mai in a few weeks time. There will be folks coming from all over the world to think about community and faith and travel and Jesus. Just the best sort of gathering! Soon the season here will start to ramp up, as the rains stop and the weather cools down. Already, friends are starting to return for the part of the year that they live here. We have joyous reunions with friends we see each year. And I realise the sweetness in both the seasonal friendships - where we are apart for half the year and get to catch up on each other’s very different lives; and also the friendships that go all through the year - the ones we cough with during the dry burning season, and sweat with during green season. We all do different things when we take a seasonal break like this. Some folks like to give their homes a big spring clean (autumn/fall clean?). The kids don’t have school so there are more fun holiday-type adventures to be had. There is a little bit more time for other projects or study, creating or reading. We get together with friends for bible reading circles, or coffee, or board games. Our regular work is so good. We love it so much! Our meditations, gardening days, meals together, devotion circles. Beautiful practices that require our full selves. But if we keep doing them all year without any break, it can feel like we are on a wheel that never stops, as Rae says. And that isn’t such a nice feeling. So before High Season is upon us, with all its energy and visitors and events, we make an opportunity to take a breath. To look around at all that has been going on. To thank God for what has been happening around us and in us. It is good to stop, and to breathe long and deep. * Ro and I do an update of life around here this week, including pita, a river of people, controlled fells, weeds like trees and bees with knees. The Youtube Version is here, if that is what you prefer. The podcast will always be free, but you can support us on Patreon.com and get extra audio each month. 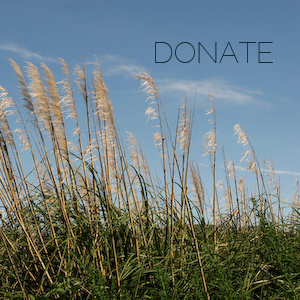 Thank you to new patrons: Alison, Maja, Kesselfam, and Susan! We're so thankful for your support! This area out the back of the property, over the last year, has been transformed into a wonderland. Joshua is the mastermind and coordinator of the magical transformation happening in the Food Forest at Shekina Garden, born out of a growing love and knowledge of Permaculture and a passion for beauty and growing the food we eat. We see caring for the earth as an integral part of our spiritual life. The Divine has gifted us this spectacular planet to care for and live off, to protect and cultivate. We look forward to the day when the whole world will be made new, and the glory of God will cover the earth! Until then, part of our work here on earth is to care for, respect, learn from, and bring back to abundance the little patch of earth we have been entrusted with. Sounds lofty, perhaps, but to me, gardening is holy work. A pathway to facilitate a meditative walk through the whole property had been concocted by Heather, Chinua, Leaf and Joshua as part of our Grand Plans for the whole of Shekina Garden. Paths through the soon-to-be Food Forest were laid out by Leaf and Joshua. Five banana circles were dug and planted. Tapioca and mulberries and citronella and lemongrass were propagated. Trees were planted! So many kinds! Lemon and orange and lime and mango and cocoa and jackfruit and mangosteen and guava and coffee and pomegranate and Jamaican cherry and dragon fruit and papaya...so many papaya. Whole coconuts sprouting new growth which will take years to grow into huge palms and bear fruit. I sprouted a baby moringa tree from seed that our friends Brian and Katie gave us, and it's grown about 12ft in the last 12 months. To protect our baby avocado tree we created an Avocano! An avocado volcano! We planted and propagated all last wet season, then watered and watered all through dry season to keep things alive. Then this wet season everything has absolutely exploded with life. Every shade of the colour green imaginable. I tell our friends that it's a magical fairy land. And it really is. Wild bees have started a little comb on a tree. Butterflies are in abundance and the soil is full of fat, happy worms. We've also added aloe vera, pineapples, Thai basil, cannas, Mexican sunflower, sweet potato, zinnias, Queensland arrowroot, turmeric in abundance...and so many more species that are edible and/or medicinal. I brought dozens of marigold seedlings from my garden at home and planted them along one section of path. From one small comfrey, carefully brought from afar, Joshua has spread comfrey plants all over. Plans for how we can incorporate seasonal foods growing on our property are becoming part of our conversations and dreams for Community Lunches. To feed our traveller tribe fresh organic food from our own gardens - bliss! Low benches are being made in little shady spots where a couple of people can sit and have a chat together. Hand-painted signs and bible verses can be found in various nooks. A plan for a labyrinth is afoot. Plans for two small bungalows are being drawn up, so that travellers who want to do a dedicated Jesus Retreat with us can stay onsite. Mmm, really I can't do justice to the loveliness which is this little patch of land at the back of Shekina Garden. You'll just have to join us one Thursday for Community Gardening Day and get your hands dirty with us, to fully appreciate it! Consider that an open invitation! We have a brief introduction, talking about a few things we've been up to around here. I give a short introduction to some of the points of meditation. The podcast will always be free, but you can support us on Patreon.com and get extra audio each month. We're so thankful for your support! Announcement: Our podcast is on its way into your earspace! Oh, hello! This is Rachel, stumbling out of the jungle of life to say HELLO and tell you about exciting things in our future. After years of dreaming about it, we are starting a meditation podcast, featuring guided meditation recorded specifically for the podcast or live from our morning meditation sessions at Shekina Garden. If all goes well and the creek don’t rise (quite literally, the Pai river is full to the brim) we will be sending Episode 1 of the Shekina Meditation Podcast into your airwave space (I don’t exactly understand how that works) on Friday! Yes, on Friday, this coming Friday. We will be posting weekly! All our podcasts will be totally free, but we do have a Patreon account set up if you want to support our communities through this venture, as well as get extra audio each month. We hope that these recordings will be a resource for those who are interested in having Christ-centered meditation in their lives, either for personal practice or in small groups. And we’re so happy to share what we have learned about meditation in the presence of God. We begin by laying on the floor of the saalah, letting our bodies sink onto the cool concrete. Placing our hands on our bellies, we breathe deep and take a moment to arrive at this morning's Movement Meditation. A special practice, a time to connect with the Divine. With the creator of our amazing, intricate bodies. Our guide, Naomi, reads this verse again and again during the Meditation, letting the words sink deeper and deeper. We slowly begin to stretch and move, as soft rhythmic music flows around the saalah. We take up space. We squeeze ourselves into little balls. We play and stretch like little kids. Naomi suggests that we slowly make our way to standing. She describes to us the image of walking a slack-line or tight-rope, and we all begin to pretend to walk, on unseen lines, around our space. Some close their eyes, some walk backwards or on all fours. We are using our bodies to go deeper into the concept of faith, of walking a spiritual path which we cannot see. Of believing in the unseen. "The path we walk is charted by faith, not by what we see with our eyes." What does it mean to walk a path we cannot see? How do we journey with the concept of faith, or trust? We walk and move and meditate, enjoying the experiment - how do our bodies and our souls interact? Later in the meditation, we are guided to create a figure-8, or 'eternity' symbol with our hands. Following the music, we create this shape with our shoulders, hips, or feet. We dance our own dance around the saalah, not caring what others think of us or our movements, just free in the moment to dance with the eternal Divine. and I imagine God's hand tracing eternity over my heart. In my heart. The concept of forever and ever, beyond what I can see or imagine. The eternal Christ lives in me! I am hidden with Christ in God! As I continue to trace the shape again and again, I consider this deep, deep mysterious truth. Eventually, we again make our way to laying on the cool floor. We breathe deeply. We consider the eternal Christ. We consider his presence with us here and now. Then we sit in a circle and drink ginger lemon honey tea, and share of our experiences of the morning's Meditation. I am thankful for this practice. For the space and the music. For my sister guiding us with gentle prompts and ideas for movement. For other seekers and wanderers to walk this Path with. This Unseen Path of faith.